Like a cat, this artist (always a craftswoman) has lived several lives, pursued varied interests, raised a family and even hit the wall a time or two. 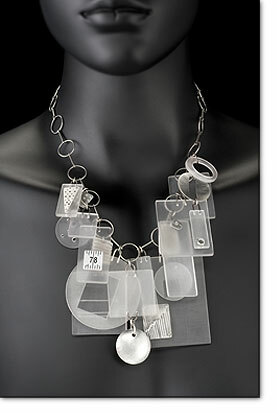 It is via these chapters that Maja evolved into a contemporary jewelry designer and a professional artist. Fabricated in sterling and more, Maja’s designs are small sculptural studies. The pieces are architectural and industrial, strong and feminine, dark and light, textured and smooth, elegant and edgy. Self-taught and curious she has developed techniques and a style that serve her well in the highly competitive world of modern art jewelry. To be fully alive an artist must be open, curious, courageous, and must reinvent herself always. Maja finds this both daunting and exhilarating.